When B.B. King made his first recordings for Sam Phillips' Memphis Recording Services, King was initially known as a talented vocalist and in fact didn't always play lead guitar on his early records. But that would all change by the mid '50s as King and his guitar, nicknamed Lucille, became the voice of the blues. With hits like "Rock Me Baby," "Sweet Little Angel," "Sweet Sixteen," and "The Thrill Is Gone," King put the blues on the Top 40 charts, made himself and Lucille household names, became the first blues artist signed to a major label, and with his singular vocal and guitar style, was an inspiration to a mighty generation of blues and rock artists including Otis Rush, Albert King, Buddy Guy, Michael Bloomfield, Duane Allman, and Magic Sam. King's singular tone has everything you'd want to hear in electric blues guitar-a bell-like ring with a hint of overdrive, soaring highs and gritty lows, and all driven home by King's mighty left hand tremolo. 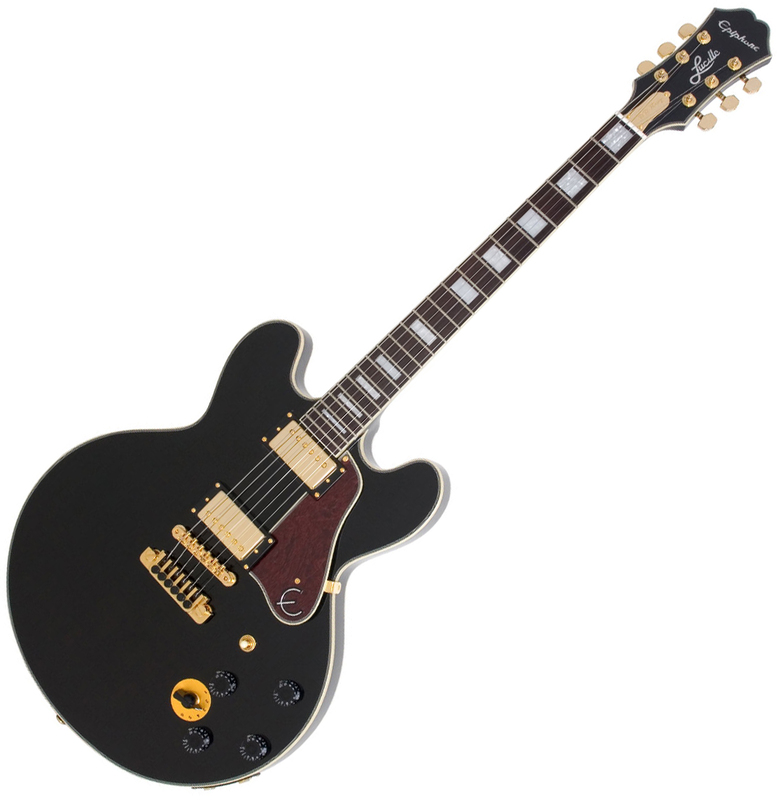 The Epiphone B. B. King Lucille was designed by B. B. King himself and puts all the tone and nuance of King's own favorite guitar in your hands.